Although London is, arguably, the rightful home of British gin – the Scottish-produced spirit is booming at present. The main reason for this, perhaps, is due to the amount of distilleries that have cropped up in recent years, crafting quick-to-produce gin during the three-year wait for whisky to mature. First released in 1999, the most popular of these Scottish gins, surely, is Hendrick’s Gin – distilled in Girvan, Ayrshire and produced by William Grant & Sons. The company also distil Glenfiddich, The Balvenie and Grant’s, amongst other whiskies, so their gin production isn’t necessarily a case of impatient experimentation. A premium, readily-available gin, Hendrick’s is the product of two different spirits distilled in a rare, unusual fashion using two stills. It is the only gin to be crafted from a combination of a Carter-Head and copper pot Bennet still. The Bennet still produces a potent oily spirit with strong juniper flavours, whereas the Carter-Head still’s produced spirit is subtle with sweet, floral aromas. The final result includes a blend of 11 high quality botanicals: yarrow, juniper, elderflower, orange peel, angelica root, caraway, chamomile, coriander, cubeb berry, orris root and lemon. What’s more, Hendrick’s is the only gin to infuse both cucumber essence and rose petals to produce a unique flavour. 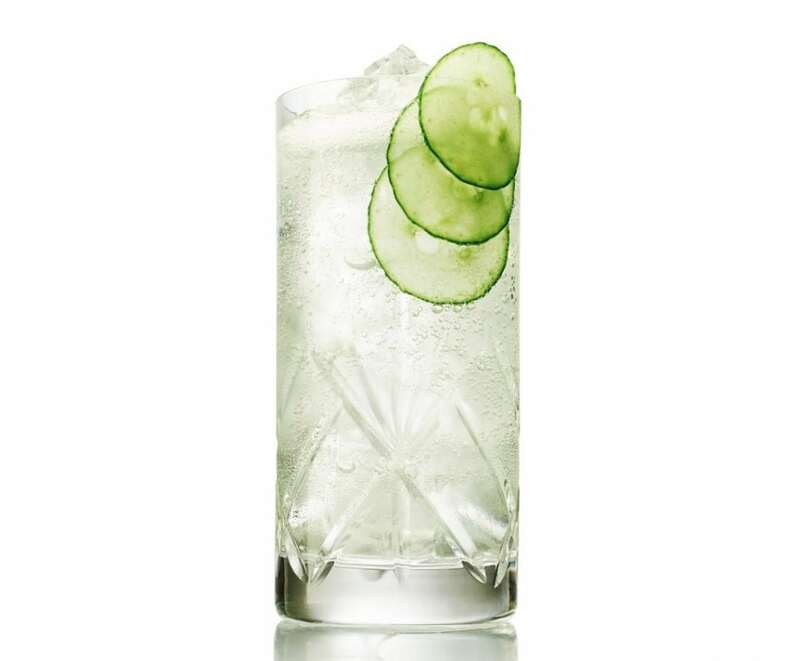 As a result, a typical serving suggestion features cucumber as a garnish for Hendrick’s with tonic water, instead of citrus fruit, which overpowers the gin’s refreshing, delicate flavours. 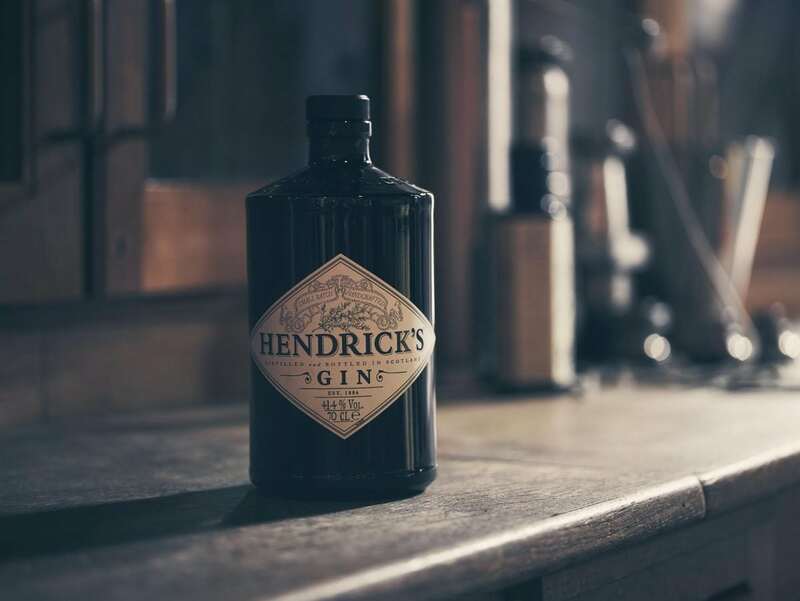 Distilled in batches of just 500 litres, giving Master Distiller Lesley Gracie greater control, Hendrick’s gin is housed in opaque Victorian apothecary-style bottles, fitting with the centuries’ old distillation process and gin’s medicinal history. The bottle has a short neck, making it almost impossible to pour a full bottle without spilling, thus losing precious liquid. On the nose, cucumber is the most initially prominent aroma, unsurprisingly. This is joined by a mixture of floral perfume notes, elderflower and underlying juniper. Neat, flavours of rose, like Turkish delight or soap specifically designed for pensioners, are flagrant on the palate, as are some very delicate notes of orange and lemon rind oil and Earl Grey tea. The presence of juniper, alas, is abnormally quite unarticulated. What must be observed, however, is the gin’s smoothness – as pleasant neat as it is with a splash of tonic water and slice of cucumber. What’s more, Hendrick’s is floral, but without being overwhelmingly so – juxtaposed to what’s expected from the bouquet.The finish is rich with rose and balanced by some subtle hints of spice, which linger on the palate. A gateway gin of sorts, Hendrick’s has previously been accused of being “a gin for people who don’t like gin”. Indeed, purists will deplore the understated juniper, but that doesn’t make Hendrick’s any less of a fine, supermarket-available gin. Hendrick’s Gin is available from major retailers, RRP £28.09, 70cl. Further information can be found at uk.hendricksgin.com. Fill a high ball glass with good cubed ice. Combine all ingredients a stir gently.